Plants are grown in 95mm diameter polypropylene flasks with teflon breathers to produce large plants and minimise transport costs. Flasks contain a minimum of 40 plants. The plants will be replated to order and should be ready approximately 4-6 months after ordering and payment of 50% deposit. Flasks cost AU$55.00 each for 1 – 4 or $50.00 each for 5 or more flasks. Plants are grown in 95mm diameter polypropylene containers with Teflon breathers to produce large plants and minimize transport costs. The plants will be replated to order and should be ready approximately 4-6 months after ordering and payment of 50% deposit. Prices are plus 10% gst for Australian clients. Flasks cost AU$37.00 each or $35.00 each for 10 or more. 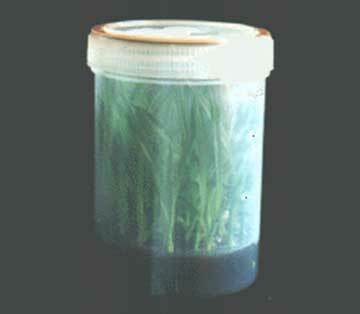 Sterile vermiculite can be added to flasks to protect plants during delivery. Alternatively plants can be deflasked and sent bare rooted and sent packed in damp toweling. Either of these services will cost $5.00 per flask. For overseas clients please check which option is permitted by your quarantine authorities. 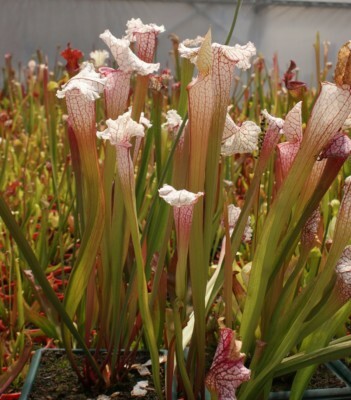 Currently we do not have any of our own flasks of Bromeliads available, except for Brocchinia reducta, which is available from our Carnivorous Plant Flasks page. 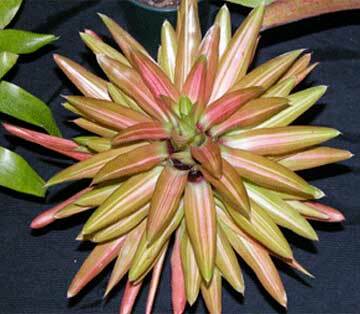 We can clone or seedraise your bromeliads for you and more information is on our Bromeliad cloning and Bromeliad Seedraising pages under the ‘Services’ tab. 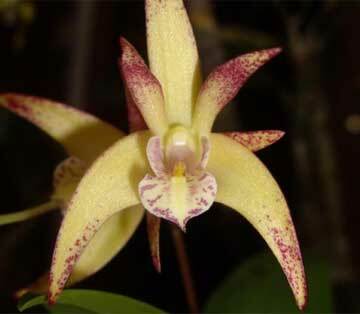 We clone Aechmeas, Billbergias, Guzmanias, Neoregelias, Tillandsias and Vrieseas. Please contact the laboratory before sending any plant material because different types of tissue are used for different genera. © 2019 Flora Laboratories . All Rights Reserved.